→Detoxifying Foot-Bath: How To Make One at Home? Detoxifying Foot-Bath: How To Make One at Home? Your feet go through so much every day. Stress and fatigue eventually become too much. If you know anything about Chinese reflexology, you know that your feet contain natural energy zones which are connected to vital bodily systems. If you can cleanse and detoxify your feet, you can rid yourself of harmful toxins and poisons while benefiting your internal organs. Foot-baths have been used to detoxify for thousands of years. Native Americans, Indians, and the Chinese have all used foot-baths to promote health and wellness. We will show you how to make your own so you can share in the benefits of your ancestors. Detoxing helps with infections, fever, flu, illness, inflammation and more . We love a soothing, de-stressing foot-bath, and we promise that you will too. Do you ever remember a time when you were not on your feet? Even the simplest task involves our humble feet. They take a beating through the day and do not get the recognition or relaxation which they deserve. A foot massage or pampering does more than soothe your feet. It affects your entire body and your mind. When our feet get stressed, we cannot just relax them. We need them in almost everything we do. A foot-bath can make you feel as if you have had your feet up all day. Add in some bentonite clay and Dead Sea salt, and you are ready to reap the health benefits. 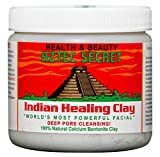 What is Bentonite clay? It is a common ingredient in detox products. When asking what Bentonite clay can do, it is almost easier to list what it cannot do. Your digestive system. Maalox and Rolaids have used kaolin clay for years to treat acid reflux, constipation, gas, and more. Skin allergies and other skin issues. Replenishing minerals in your body. Skin problems and skin repair and regeneration. Dead Sea salts already sounds cool, but can it actually do anything for your health and wellness? Sea salts have been used for centuries. There have even been wars fought in claim over mineral-rich waters. Regular sea salt contains minerals which are beneficial to your health. Dead Sea salts contain 21 times more minerals than their regular counterparts. Magnesium, calcium, zinc, selenium, and potassium are some of the minerals contained. Each come with their own health benefits. Dead Sea salt can improve the look and feel of your skin. It has been shown to help repair damaged skin, hydrate skin, tighten skin, and strengthen skin . What do you need to make your own foot-bath? Foot spa or a container big enough for your feet. Enough hot water to cover your feet up to your ankles. 6 tbsp: Dead Sea salts (regular will work if you cannot find any). Make sure your water is hot, but not scalding. You do not want to burn your feet. Add the water to the container. Add the clay, salt, and soda. Stir the mixture to dissolve. Place your feet into the foot-bath and relax for 20 minutes. Pat your feet with the cloth or towel. You want to remove the moisture but leave the salts and minerals on your feet. Use your homemade foot-bath two or three times a week. We like to use it three times instead of two (it gets addictive). ​You can also buy a foot spa massager which can be used with essential oils and salts. Enjoy a bubbly spa massage treatment in the comfort of your own home. If you want to kick it up a notch, then you can try a bath for your entire body. Fill our bath with hot water. Add a pound of salts and baking soda. Stir up the mixture and get in. Relax in your bath for up to 45 minutes. Pat yourself dry when you are done. WARNING: If you are pregnant, suffer from health issues, or have a skin condition, we recommend that you consult a doctor before using a foot-bath.